Have you sent your Easter eggs to loved ones overseas yet? Show that you care by giving them an Easter to remember! ORDER BY THE END OF MARCH FOR DELIVERY WORLDWIDE IN TIME FOR EASTER! 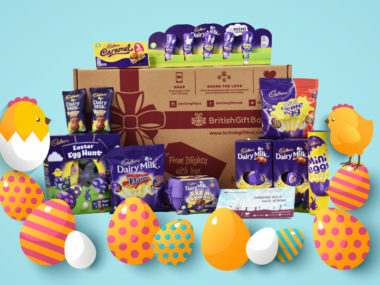 With postal shipping services to most countries taking up to 7 working days (and more for a few others), give your Easter Box the best possible chance of being delivered by Good Friday by ordering by 31 st March. These last order dates are based on Royal Mail’s targeted delivery times or recent actual performance for certain countries and assume no delays in customs clearance where applicable on arrival in the destination countries. Any delays at customs may delay delivery. For orders placed after these recommended last order dates, we will still fulfil the orders as normal but please be aware that your Gift Box may not be delivered until after Easter. Don’t hesitate to get in touch with any questions on 0118 380 0209 or [email protected] Our team are always happy to help!